Every Tuesday, we will post a link to a YouTube Channel that promotes racquetball! We will alternate between official tour/association channels with private channels. Want to be featured? Drop us a note! 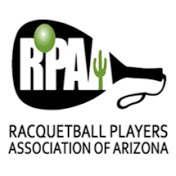 This week we feature Racquetball Arizona which has started releasing match videos from Arizona state tournaments. They have started out their channel with the 2017 State Doubles broadcast.